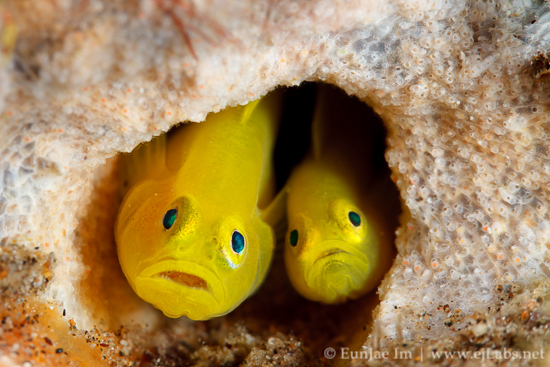 Pair of yellow pygmy-goby (Lubricogobius exiguus). 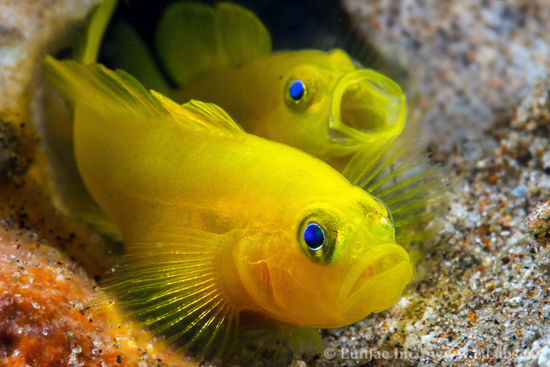 Yellow Pygmy Goby (Lubricogobius exiguus) is a small bright yellow color goby. Normally under 3cm (approx 1.5cm in this photo) long, living in holes, bottle or can. Usually found in pairs. 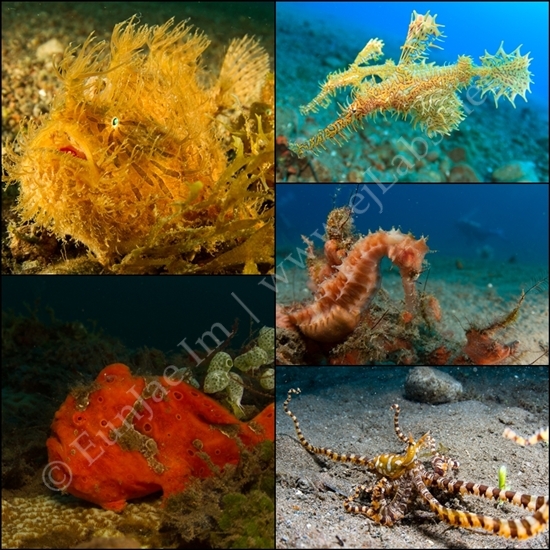 Images taken at dive site around coastal area of Dauin in Negros Oriental, Philippines. 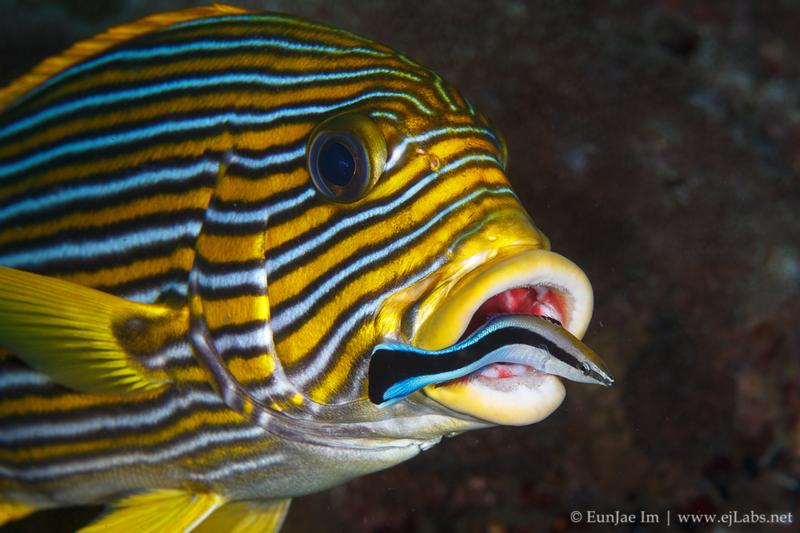 I just got back from conducting a underwater photography workshop in Dauin, Philippines. 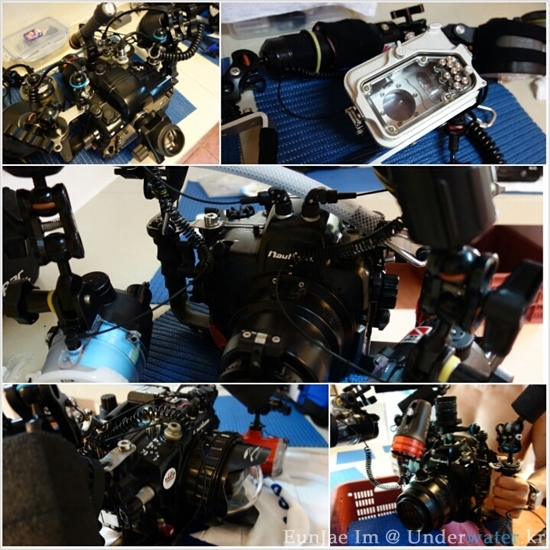 And images here are the brief list “What I saw” during the 5 days workshop. 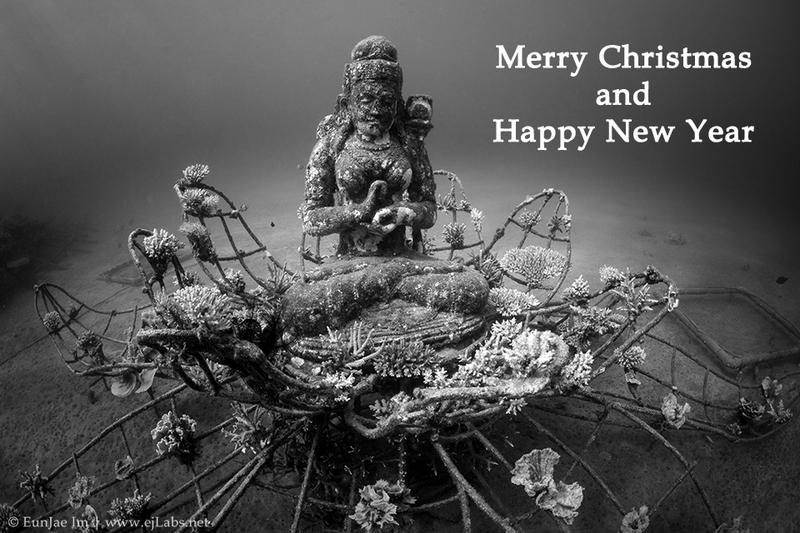 Actually, we saw a lot more critters other then in these images. Me and two more leaders didn’t dive with camera all the time and I feel it’s works out well. 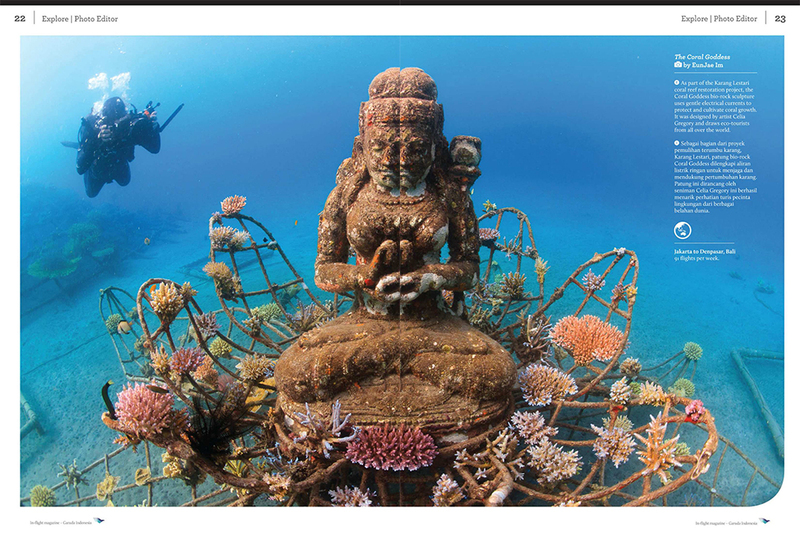 Dive “one on one” with each participant to help with strobe positioning, camera settings and composition underwater. I would like to thanks to all 12 participants of our photo workshop and I hope everyone was able to learn something. And Hope to see you again soon! Special thanks to “Dive Society Dumaguete” for excellent dive operation during the workshop. Last day of workshop. 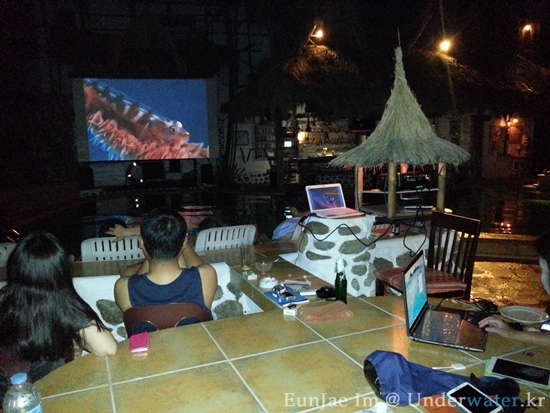 Watching everyone’s images through projector at pool side. 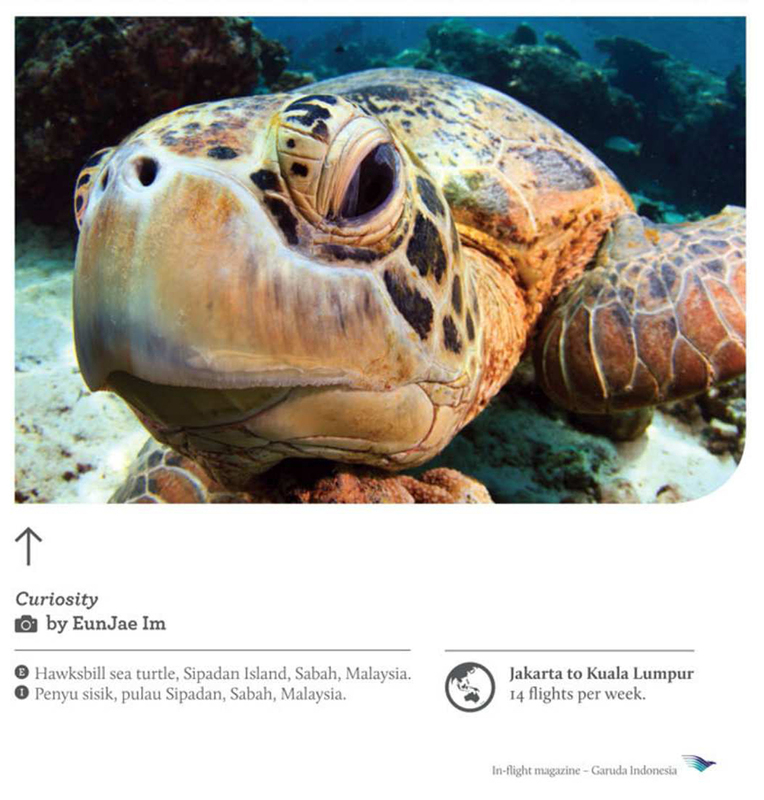 Garuda Indonesia Airline “Colours” In-flight Magazine Mar 2013. I always enjoy to watch this little fish (Cleaner wrasse – Labroides dimidatus) when they are busy. By the way, What is “Cleaning station”?